Croatia is known for its super long coast and over 1200 magical and breathtakingly beautiful islands and ancient towns. And what is the best way to explore that all you might wonder? Of course, the answer is renting a sailing boat that will take you on an adventure filled with diverse activities, delicious food, pristine nature, history, beaches, and so much more. All sailing luxury boats come with a crew on board so, by all means, you don’t need to be an expert to be a part of this. 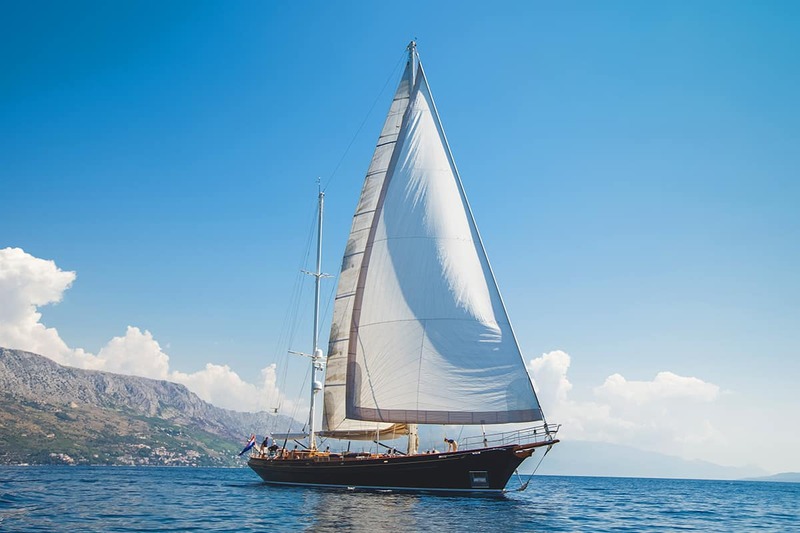 Lauran is a gorgeous 35-meter luxury sailing yacht that has been built in Croatian shipyard and has won a large number of prestigious awards for being a most beautiful ship. His hand-made interior from finest mahogany is completed with golden details for your pure enjoyment of Croatian cuisine. It has 3 cabins and furnishings in warm and soft colors help to give you the immediate feeling to be at home. 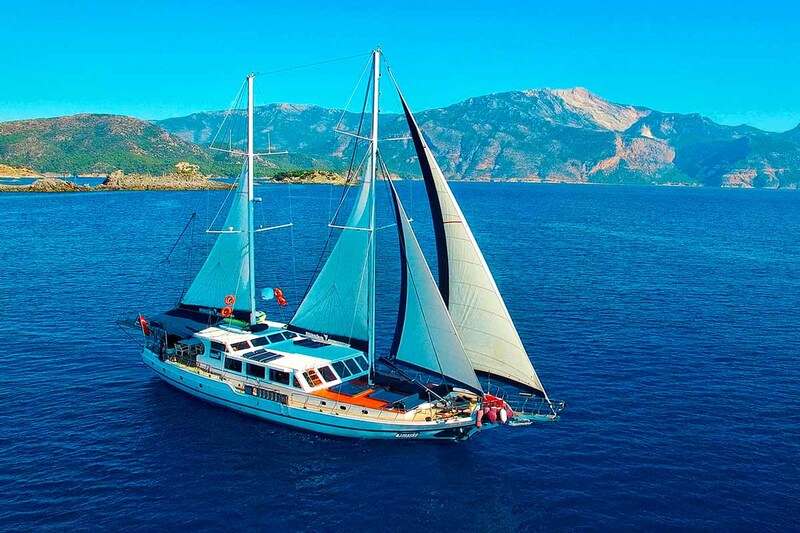 Gulet is an ideal choice for a smaller group of friends up to 6 people who are looking for memorable sailing in luxury and style. 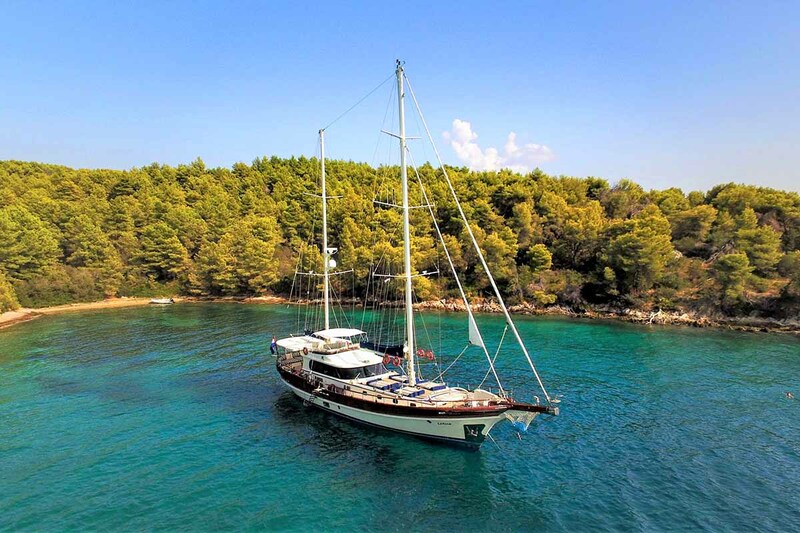 Luxury Gulet Yacht Maske from Croatia will catch your eye with the extra luminous and scenic saloon. She has a total of 5 cabins and capacity to accommodate 4 crew members and 10 passengers in a cozy setting. Her full-fledged sail equipment ensures a joyful cruise on sail if the weather conditions permit. A peaceful and enjoyable vacation in her comfortably spacious cabins is guaranteed. For those who want to stay active on their holidays or simply have fun there is a wide variety of water sports facilities including Jet Ski, Water ski, Stand up paddle board, Seadoo/Seascooter, Tube, Canoe. Luxury traditional gulet Anđeo from Croatia one of those gulets that are very popular among clients. 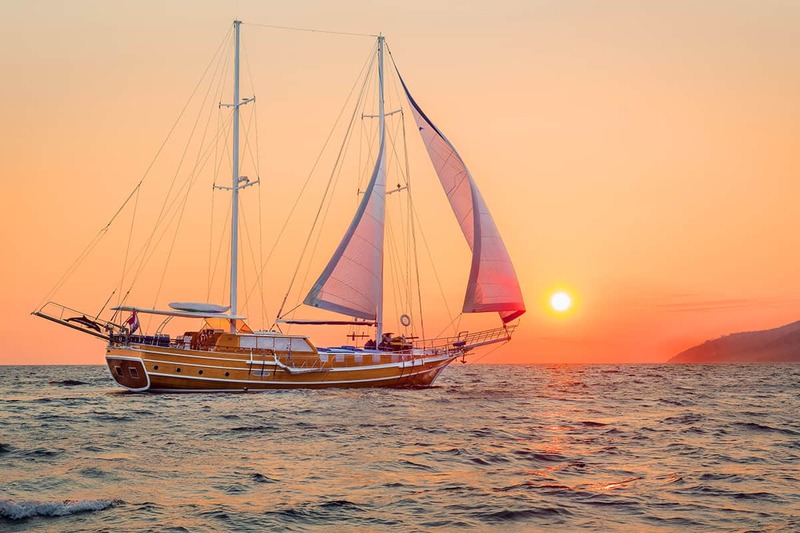 Owner of the sailing boat is truly giving his heart and soul for this gulet, that combined with excellent service is enough for this boat to have repeat clients. Modern luxury boat with traditional looks provides superb food and joyful sailing in an elegant ambiance. 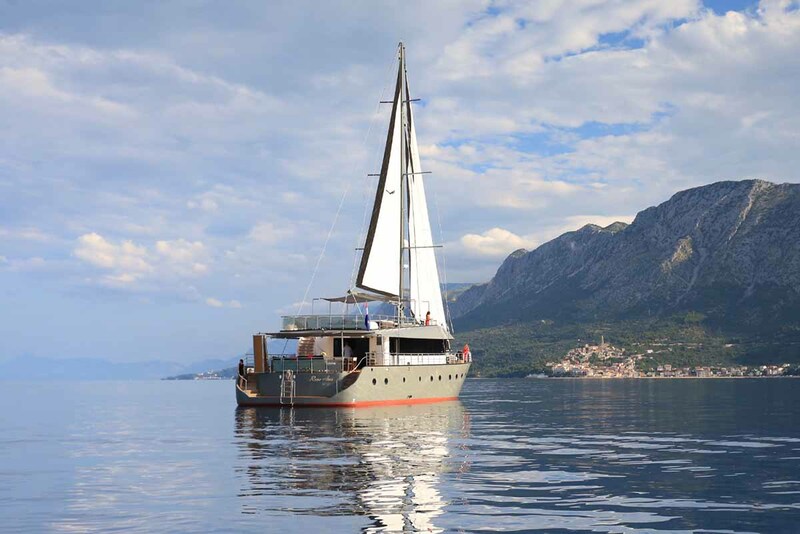 Anđeo is the perfect yacht for a family or a group of couples, up to ten guests in five large cabins. Luxury yacht Rara Avis rarely leaves someone unimpressed. This amazing yacht was released in season 2018 and is run by a family business with more than 70 years in the nautical experience! High-end service and joyful sailing in luxury setting is nothing less but to be expected. Rara Avis is a beautiful yacht with its huge sails that give excellent performances. Everything is planned and designed in a way to provide the ultimate experience for all groups up to 12 people. Due to the large beam and spacious interior and deck, you will not get seasick on this yacht.